Today's Piri Sojourner is Leanna from All Done Monkey. Leanna is a woman extraordinaire. She is raising two sons, writes a parenting blog and runs our amazing little community of Multicultural Kid Blogs. I don't know where she finds the time! I needed help with entertaining my oldest while breastfeeding the youngest and I knew she was the right person for some tips as she had just gone through it herself. I have two say her last two ideas: baby-wearing and co-sleeping have been my life- (and sanity)-savers this time round too! My son was so excited to have a brother. Yet after the baby was born he needed plenty of reassurance from us that his place in the family was secure and that his world hadn't changed too much. Tending to an older child while caring for a newborn can be tricky. It requires a great deal of patience and creativity on your part, but with a few simple tricks, you can create an environment that works for everyone. Ideally you will have another caregiver - husband, parent, neighbor, friend - who can help look after your older child in the early days after your baby is born. But for a variety of reasons, this is often not the case. And even when it is, the truth is that children often need reassurance from their mother, whom they see suddenly occupied with the new baby. Even when children are excited about having a new sibling, they typically experience a range of emotions, including anxiety about the enormous changes taking place. In those critical first weeks, it is important to show them that they still have a special place in your heart, and that much of their routine will still stay the same. 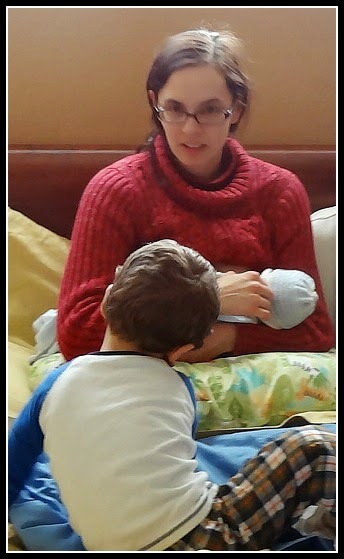 One of the most difficult times to do this is when you are nursing your baby, which happens so often at the beginning! Yet in some ways tending to another child at the same time is easier now than when the baby is older, because at this age the baby's needs are primarily physical (he won't get jealous if you are playing with your older child at the same time!). In addition, young babies are much less distractable than, for example, a 9 month old, who will usually not nurse if there is other activity going on around him. So you are free to focus your mental energy on your older child, who is hungry for your attention. Here are a few ideas that worked for me after our baby was born. 1. Make room in your nursing spot. My older son frequently climbed into bed or on the couch with me when I was nursing - sometimes to read together or chat, but sometimes just to sit with me. If you have trouble getting comfortable with both children, using a different nursing position may help. 2. Make your nursing spot mobile. Take advantage of the fact that newborns are not as distractable as they will be when they are older. Most newborns will not be disturbed by what is happening around them, so there is no need to stay in a quiet spot. I remember spending a lot of time nursing at the dinner table when my older son was eating or sitting with him as he played with his blocks. If you can nurse while baby wearing, even better! 3. Have a basket of special books or toys handy. Make nursing time special by keeping handy some special activities reserved just for that time. This also works if you have the opposite problem - an older child who won't stay near while you are trying to keep an eye on him. If you are comfortable with screen-time, you could also watch a cartoon together or let him play a video game, which lets you get a little rest in as well. 4. Share memories and photos from when your older child was a baby. An older child may be a bit jealous of all the time you are spending with your newborn, but he is probably also very curious. Talking about nursing him when he was a baby not only reassures him but also satisfies his curiosity about all the changes he is seeing at home. What was he like when he was a baby? Who came by to visit? Do you have any funny or sweet stories of him from this time? Filling in these blanks will help your older child feel special and let him know that this intense newborn stage will pass and soon this baby will grow up, too! 5. Know that this period will not last for long. It is good for mamas to also remember that this phase does not last forever. With a little work on your part, after a time your older child will become used to the new sibling and feel more confident with his own changing place in the family. Usually he will be more willing to spend time alone while you nurse (at the same time as your baby is being more easily distracted), and as he grows and matures you will feel more confident allowing him to play without your supervision. And, of course, your new baby will not be a newborn for long, but will gradually require less intensive caregiving on your part. 1. Babywearing. What a marvelous invention! 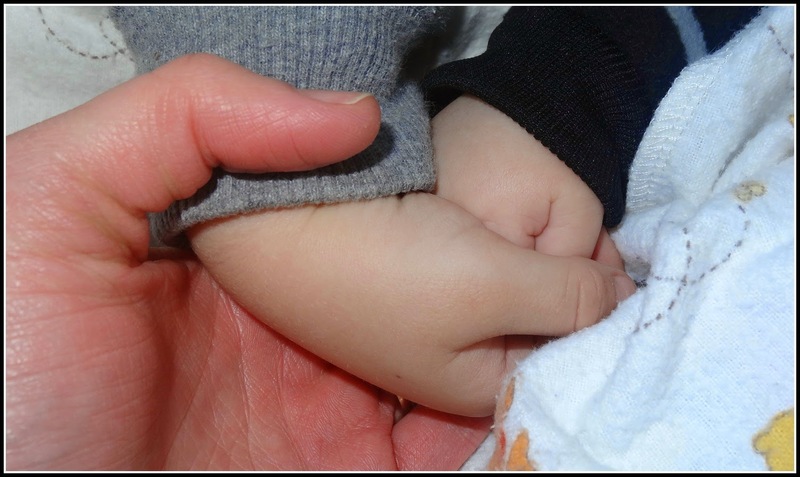 You get to hold your little one close (great for both of you!) while keeping your hands free to tend to your older child. 2. Co-sleeping. Night time was a great time for me to snuggle with the baby - especially when he was still waking up so frequently! Some families even do a "family bed" so that everyone can cozy up together during the night. What are your tips for connecting with an older child after a baby is born? Leanna is a stay at home mother to a sweet, funny, rambunctious four year old boy and his adorable, smiley baby brother. She draws inspiration from the Writings of the Bahá'í Faith and tries to raise her Monkeys in a fun, spiritual, loving environment. 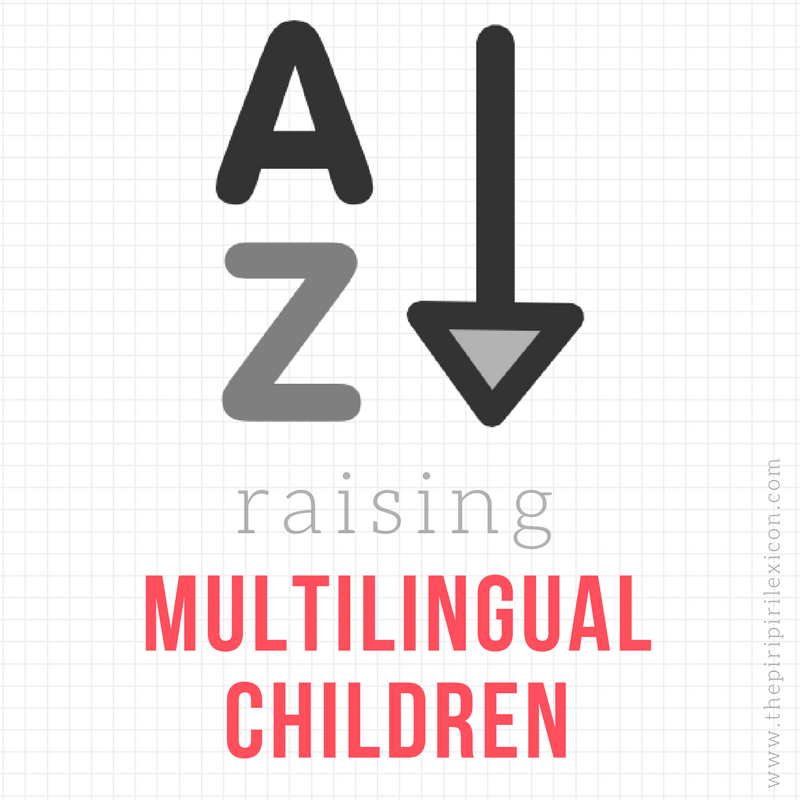 She and her husband, who is from Costa Rica, are raising their boys to be bilingual and bicultural but more importantly to be "world citizens." All Done Monkey is dedicated to sharing this journey with you! 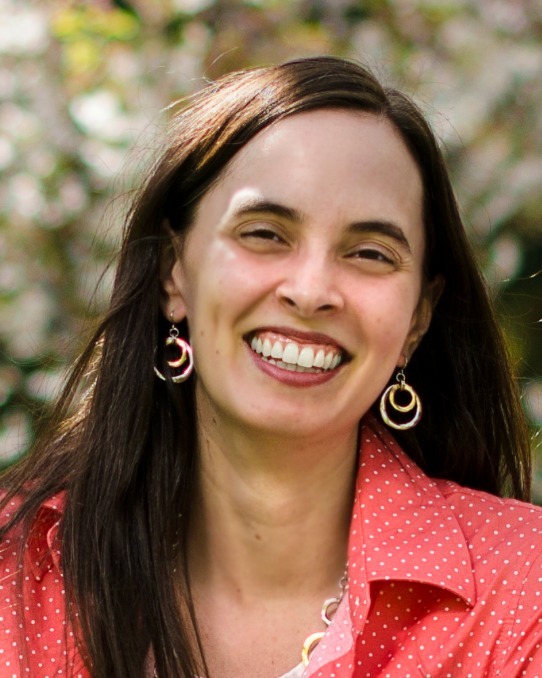 Leanna is the co-founder of Bahá'í Mom Blogs and founder of Multicultural Kid Blogs. Thanks for letting me share this post! Best of luck on your journey with your little ones! Great tips. We definitely made a lot of use of our sling during those days so at least one of my hands was free. Sharing baby photos of the older child getting the same treatment way back when also worked very well.